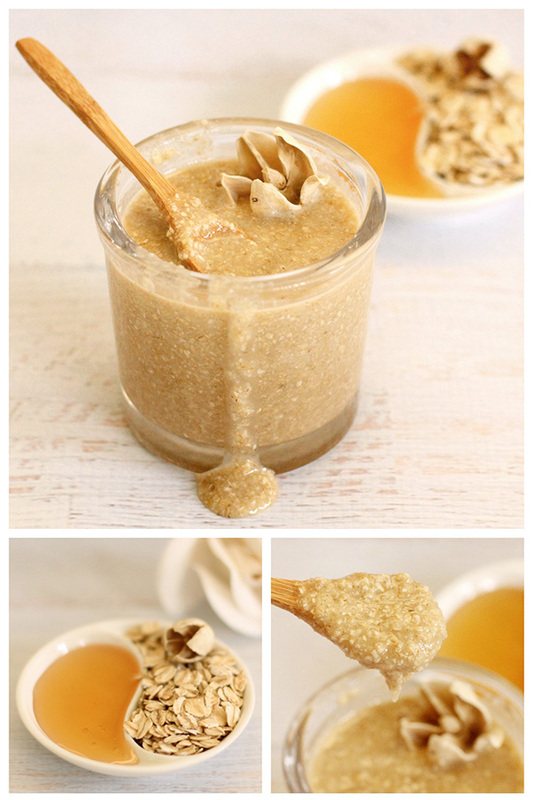 gla.MAR.ous » Pin This Tuesday: Oatmeal Honey Face Scrub. Pin This Tuesday: Oatmeal Honey Face Scrub. While roaming on Pinterest we bumped into this amazing looking DIY face scrub made by Dabbles and Babbles. We’re super excited to try it out ourselves. Every once in a while your skin just needs a deep scrub to get it truly refreshed. Homemade scrubs are great and most times you already have the main ingredients laying around in the kitchen – oatmeal, honey and almond oil (or coconut oil or olive oil). All of these ingredients have great qualities for your skin. Head on over to Dabbles and Babbles for the whole story and process HERE. Remember to also follow gla.MAR.ous on Pinterest HERE. Pin This Tuesday: NYX Cosmetics ‘Copenhagen’ For Fall.